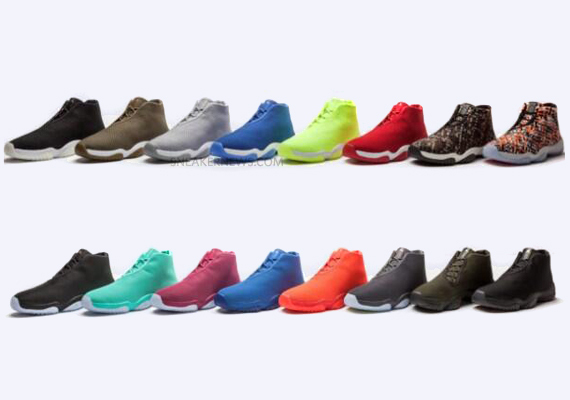 The next Jordan Future release will be the Multi-Color Quickstrike. We’ve seen photos of the multitude of impending Jordan Future releases we can expect over the next year. Now we have a confirmed release date for the next Future release. 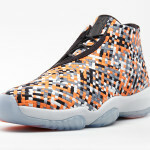 Foot Locker and Foot Action have announced they will cary the Jordan Future Multi Color on April 19th. They will launch alongside their cousin the Retro 11 Low Nightshade. Neither retailer will be selling the Jordan Future online, making this an in-store-only release.